All of us, including you and me have denied enjoying these 22 things. Read this and confront yourself. 1. We will make it a point to stop over at Cafe Coffee Day or McDonalds on a highway. We might not go to one otherwise. But on a highway it's mandatory. 2. 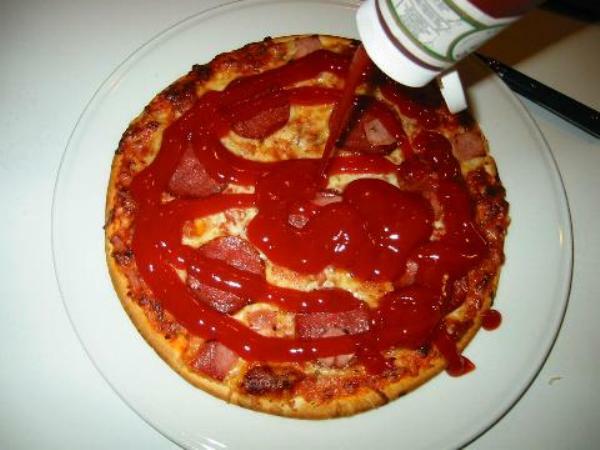 We eat pizza with ketchup. I have no idea why. Same goes for Maggi and other stuff. Though, in an intellectual conversation, we'll boast of knowing all about Italian food. 3. We don't like red or white sauce pasta. We like pink. We know nothing about Italian food. And this is the biggest proof. 4. We love dancing to chichora Punjabi songs. We know Honey Singh raps and Daler Mehendi dance steps by heart. We'll dance to the most absurd Punjabi numbers in our cars, and at weddings. Any other part of the city? We'll act all ethical by criticising Honey Singh. 5. 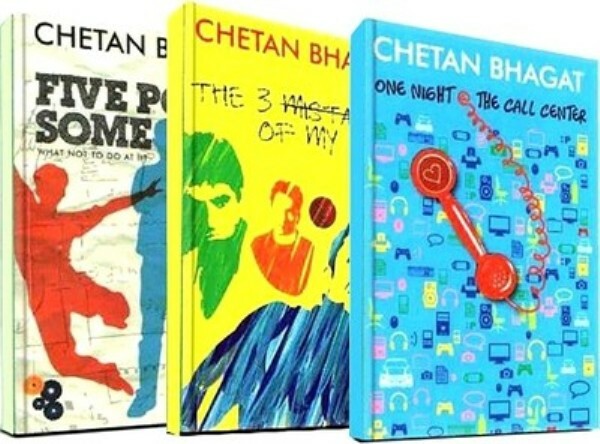 We make it a point to read Chetan Bhagat. And Durjoy Dutta and Ravindra Singh. But no! We increase our coolness quotient by saying it's only 'cliched' stuff. 6. We love going to the mall. Even if it's just for a walk. But there is no way we'll admit it. 7. We obsess over NH-7 weekender. Most of us don't know what the hell it is. But we still want to attend it because everyone else is. 8. We love to gossip. What we won't stop justifying is how we never gossip! 9. KRK and Rakhi Sawant do entertain us. There is a reason KRK trends often and why Rakhi Ka Swaymvaar had the highest TRP's. That reason is us. 10. Instagram is our favorite app. No, I'm not addicted to Instagram. It just happens to post pictures of everything I do. On its own. 11. We love talking at length about our vacations in a 'foreign land'. And then we say we don't show off. Of course, we do. We'll go on calling this show useless. In reality, we HEART badass insults by those 3 scary judges. Although talking ill of Arnab Goswami is all you do, you still follow it diligently. We'll always have an opinion on whether or not Kejriwal should have resigned. 15. Arguing with the autowallas. We love winning this argument, no matter what. But we'll always blame the autowallahs for triggering our anger. 16. We love witnessing fights. We'll pretend to be least interested. Secretly, we're DYING to know the goss!. 17. Road side chai is our favorite. 18. We enjoy the Salman Khan and Rohit Shetty genre of cinema. We'll criticize anything from the World Bank to politics! 20. When we're sick, we visit Google. We'll tell the world we're seeing 78 doctors, but in reality we're just reading Web MD. 21. We yell and call others in a crowded room. Whaat? No, I didn't scream. No that wasn't me. 22. Yes, Bruce Willis died in 6th sense. We didn't get it, but we say we did. Never mind, we are still the coolest, aren't we?